Square Enix surprises everyone by skipping over Wii and PS3 and taking its bellwether series to Nintendo's portable. Final Fantasy may be the face of Square Enix in Europe and North America, but in Japan it's the 20-year-old Dragon Quest series that rules. People thought that after the success of Dragon Quest VIII on PS2, a console sequel was a given, but Square Enix surprised everyone today revealing that the next full instalment in the series will be coming not to any home console but to the DS. At a press conference in Japan on Tuesday, Square Enix officially announced Dragon Quest IX: Protectors of the Starry Sky as a DS exclusive, confounding predictions that the next game would end up on the Wii or PS3. 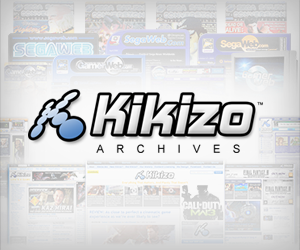 The game is again in the capable hands of Level 5, the developer of Dark Cloud and Dragon Quest VIII, a game that sold 3 million copies in its first 3 days in Japan in late 2004. The developer is already working on a White Knight Story - a well-received RPG for Sony that debuted at the Tokyo Game Show in September. 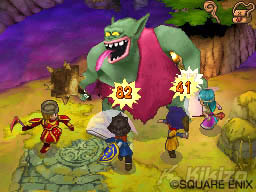 Dragon Quest IX reassembles the creators of the series, including lead designer Yuji Horii and composer Kouichi Sugiyama. Horii allayed fears that this is a throwaway update, confirming that Dragon Quest IX is a full sequel and not a side-story, according to a story at IGN by way of reports out of Japan. The game touches all the DS's bases, uses the top screen to show maps and sundry information while allowing up to four players to work together over WiFi. Early reports say the game is full 3D and drops the standard turn-based battles for something speedier. 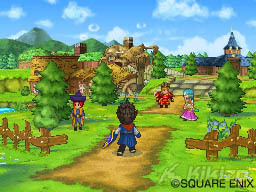 Unlike the five-year wait between the previous two instalments, Dragon Quest fans can expect the DS game to arrive in mid 2007, according to IGN. But is this really the end of Dragon Quest on home consoles? Some commentators have speculated that with a relatively simple DS being planned for an early release, Square Enix is capitalizing on the success of the DS while simultaneously working on the next console game. The company has not commented on the chatter.